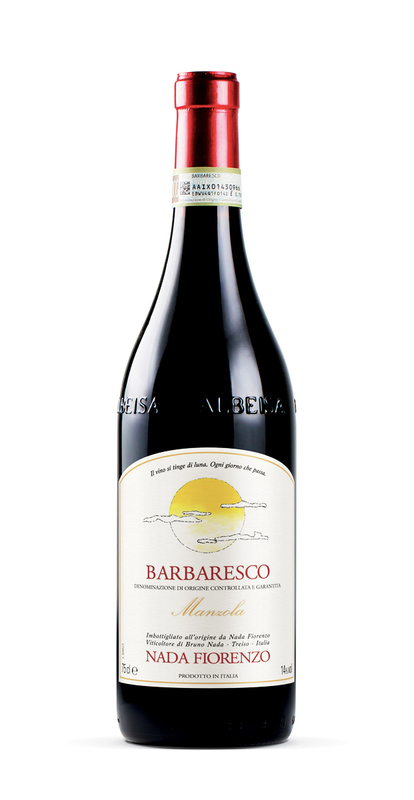 Made with the nebbiolo grapes picked in the Manzola vineyard, one of the most historic Barbaresco microzones. Its bright red garnet colour heralds an expansive floral bouquet and a sapid, austere palate. Already elegant when young, it acquires total harmony with age. Following suitable oxygenation, it gives of its best with roast and braised beef and veal, rabbit, lamb, hard cheeses and, aged at least ten years, biscuits and pastries. Local match: “Ravioli del plin al sugo d’arrosto” Filled pasta with roast meat sauce. Manzola in the commune of Treiso, Piedmont. 230 m / 750 ft asl.